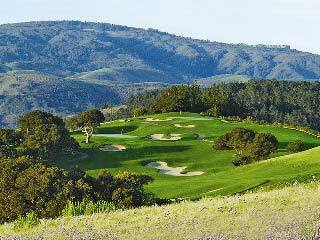 Tehama Golf Course, designed by renowned course architect Jay Morrish in 1999, is located on the northern ridge of Carmel Valley at an elevation of 200 feet. This private course is the brainchild of actor/director Clint Eastwood who placed an emphasis on maximizing the natural terrain. Set in the rolling hills, there are may elevation changes from tee to fairway and fairway to green. 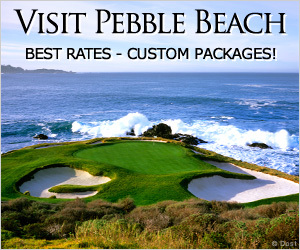 The course features immaculate fairways and greens with varying elevations, all of which provide amazing views of Point Lobos and Monterey Bay. This work of art is located within the gated community of Tehama in Carmel, California. Golf club membership is by invitation only and resides as a separate commitment from a real estate purchase. Tehama Golf Club members have access to the golf course, the Social Fitness Center, Callahan's Grill and the Clubhouse itself, which sits at the heart of the community.